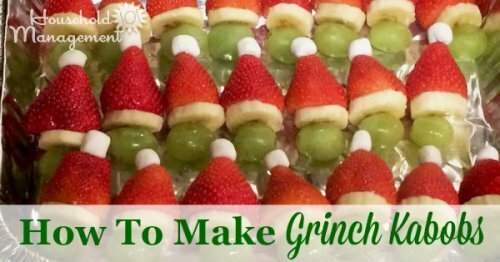 Making Grinch Kabobs has quickly become one of our family's Christmas traditions, since they're quick, easy and so very much fun to make and eat. Here's how to do it. It wasn't me who discovered this Christmas activity, but instead my youngest daughter. We were scrolling through Pinterest together one day last Christmas season and she saw the idea and immediately demanded we try this. 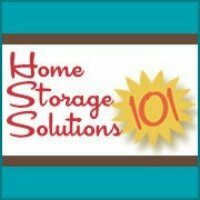 (I think this was the article where learned about them from my friend Melissa at Stockpiling Moms). You can immediately see, just from the photos, why they're called Grinch Kabobs. They are made into the shape of the Grinch's head when he's wearing his Santa Claus hat. How cute! 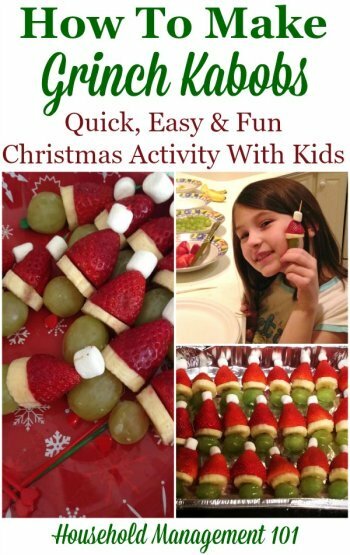 My youngest has already demanded that we make them again this year, and the whole family had fun devouring the Grinch Kabobs as we watched How The Grinch Stole Christmas (the cartoon version! ), so I think we've got ourselves the makings of a brand new family Christmas tradition! I hope this can be a fun activity in your house too. Plus, several readers have told me they made them to take to school holiday parties, because they're a fun healthy snack for the kids. 1. Peel and cut your banana into relatively thin slices. 2. Wash and then cut the tops off your strawberries. Depending on how big the strawberries are you may need to cut more of the base off, so everything fits on the toothpick. For that reason smaller strawberries work a bit better for this activity, although you can make the bigger ones work. 4. Lay out your mini marshmallows and other ingredients in an assembly line fashion. 5. Take one of your toothpicks and first skewer the grape, then add the banana slice, then the strawberry, and finally top the tip of your toothpick with the mini marshmallow. It's as simple as that! They are very easy to assemble, even for my then six year old, and she was very proud of her Grinch kabobs. You can see her in the photo above smiling proudly with one she assembled herself! Special thanks to readers Dee and Ashley who both sent in photos of the Grinch Kabobs they made after seeing my post about this last year on Facebook, and which are included in the collage above.